We currently have four committees in which members can choose to participate. It is not required members choose a committee to work on. Our group is meant to be a support to it's members in whatever capacity they choose. 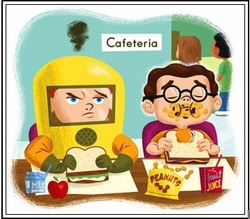 Working together, we can help to make the schools safer for our kids with food allergies and help to raise awareness and education about food allergies in our community. Each of us has a unique experience and we should consider sharing it to benefit others. The best solutions come from obtaining many ideas.